There were Joseph’s sons, born in the land of slavery, being blessed by the patriarch. And right then and there, Joseph cried foul, for Israel had blessed the first-born with his left hand instead of the right. Things were not turning out as Joseph had thought, or wanted. Oh, the struggles of this life are great and unforeseen. But Israel assured Joseph that both children would be richly blessed. Even so, God our Father blesses us, though we too were born in captivity to sin. We also struggle and suffer in life. But our sufferings, not unlike those of Joseph, are not worth comparing to the blessing of glory that awaits us. Therefore, we are to wait with patient hope for the promise of glory. In the meanwhile, we do the will of the Lord and are grateful for the blessings he gives us in this life. Yet we do not labor for the riches of this present life. Rather, we labor for that which endures to eternal life: faith in Christ. 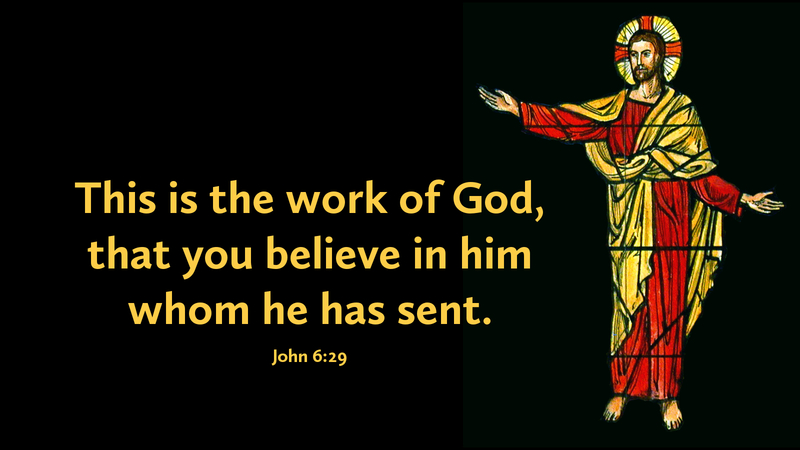 This labor will not disappoint us, for the Son of Man himself has laid his hands upon us and blessed us. He will bring it to pass. Prayer: Bless me, O Lord, that I might be a blessing. Amen.